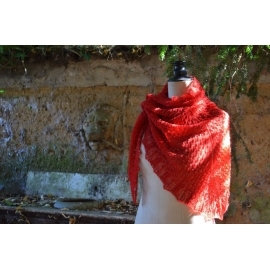 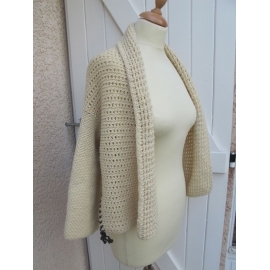 Quimperlé is an incredibly soft and light shawl, knitted with only 50 g of laceweight yarn. 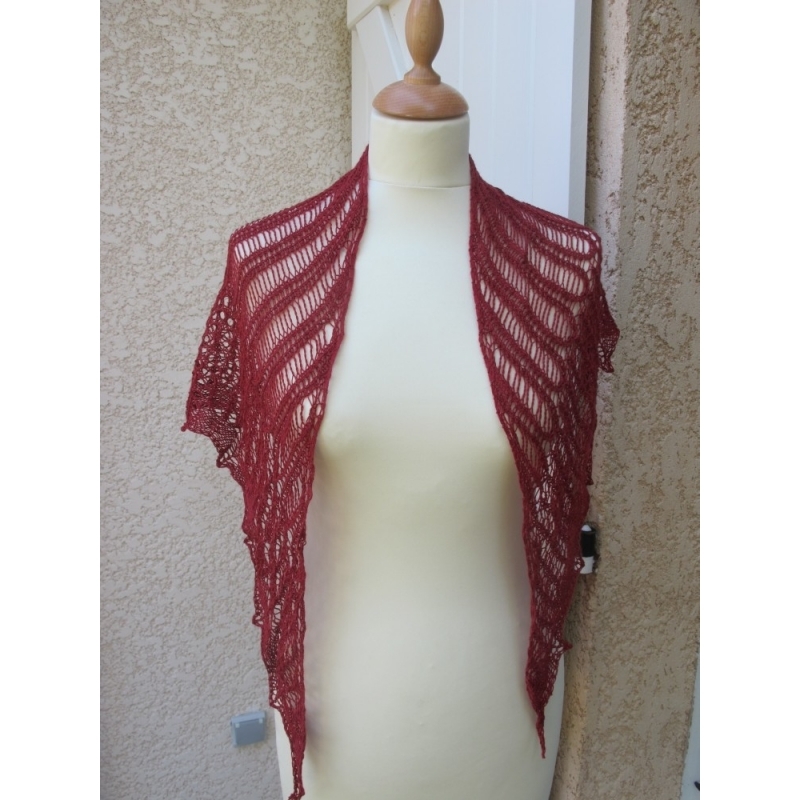 The unusual lace pattern is easier to work than it might seem, and the finished project is an accessory as light as air, to wear over your shoulders or around your neck. 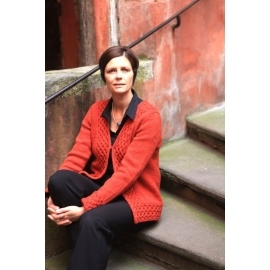 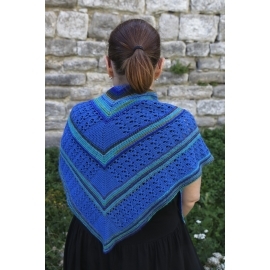 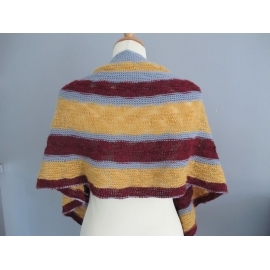 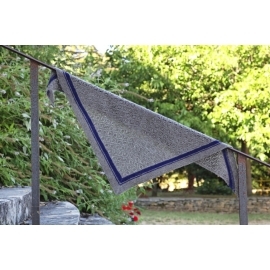 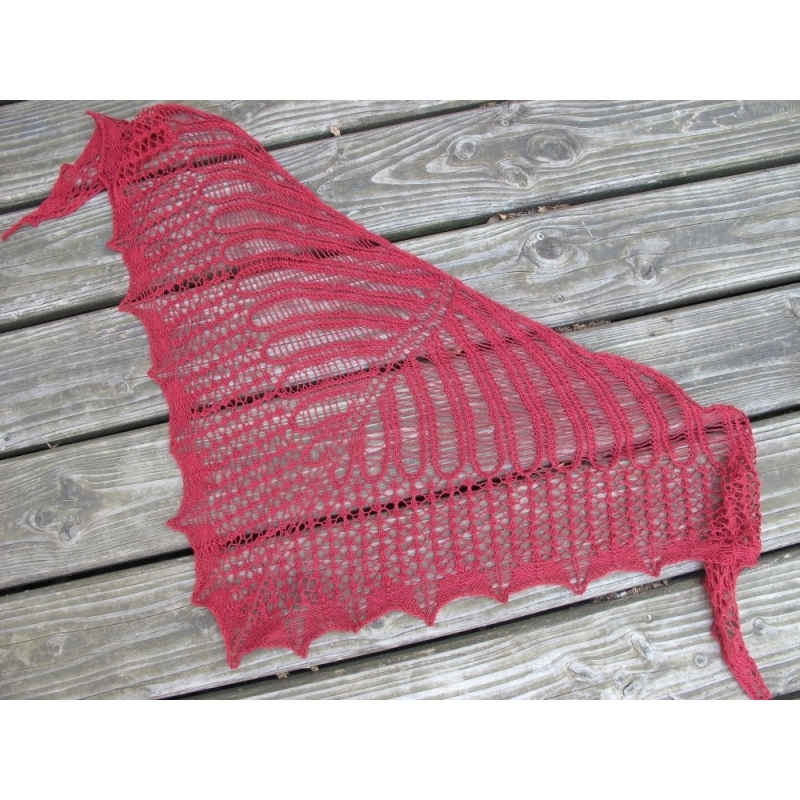 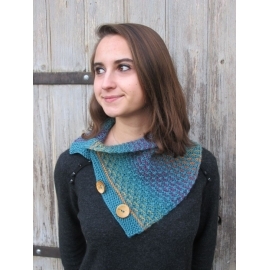 This triangular shawl is knitted top-down, starting at the center back. 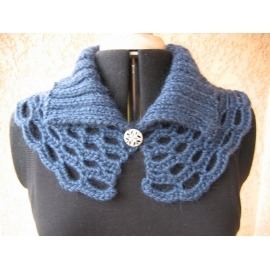 The written pattern is complemented by charts for the two lace patterns. 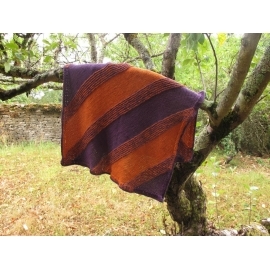 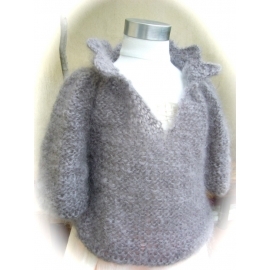 The shawl in the photos was knitted with only one ball of London, in the Amaranthe colour. 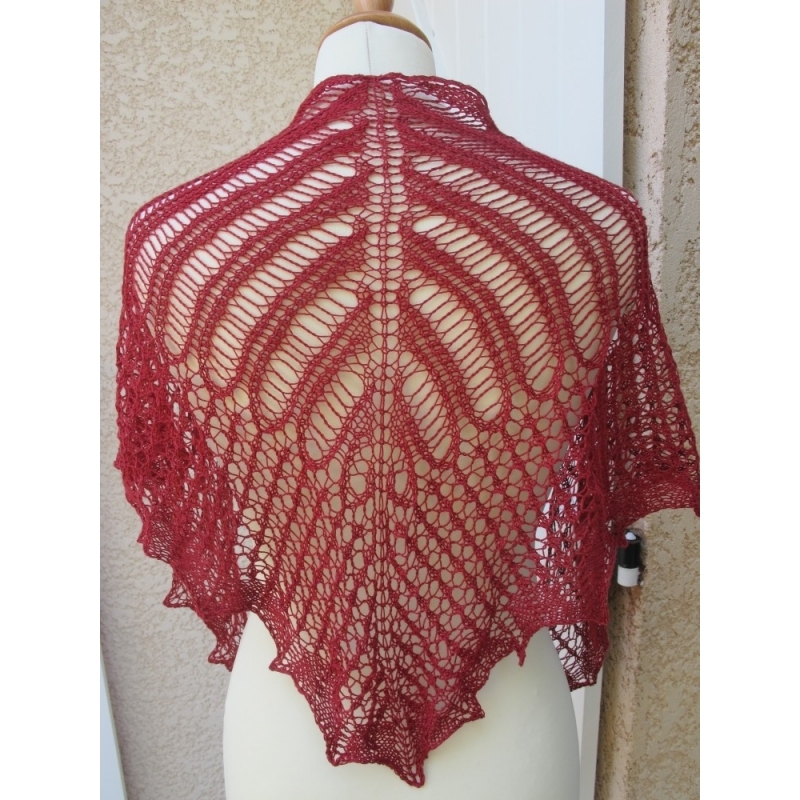 You can of course use 400 m (440 yds) of another soft laceweight yarn. 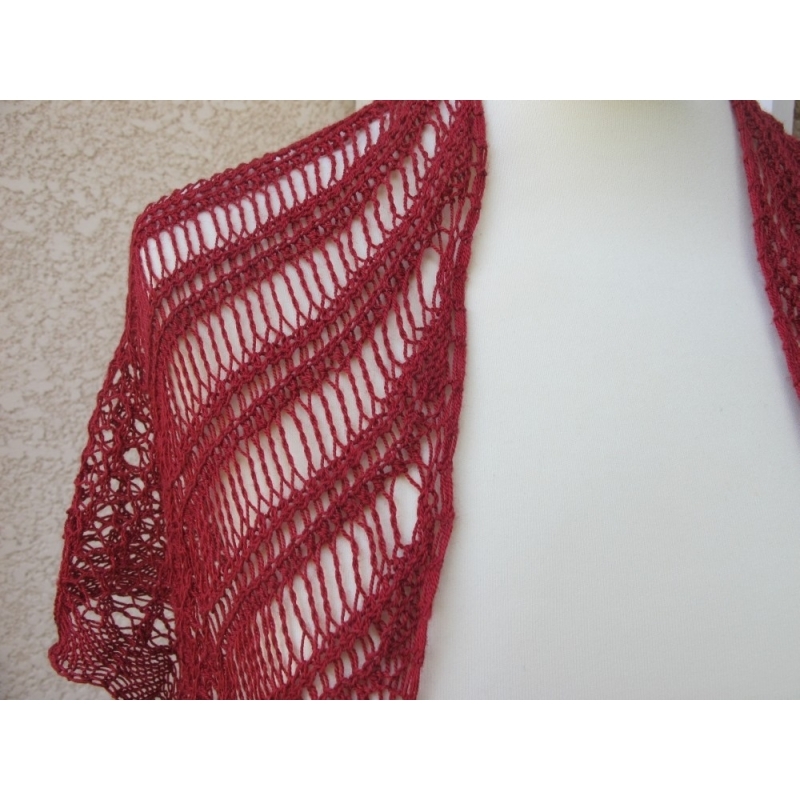 Suggested needles : 4 mm (US 6). 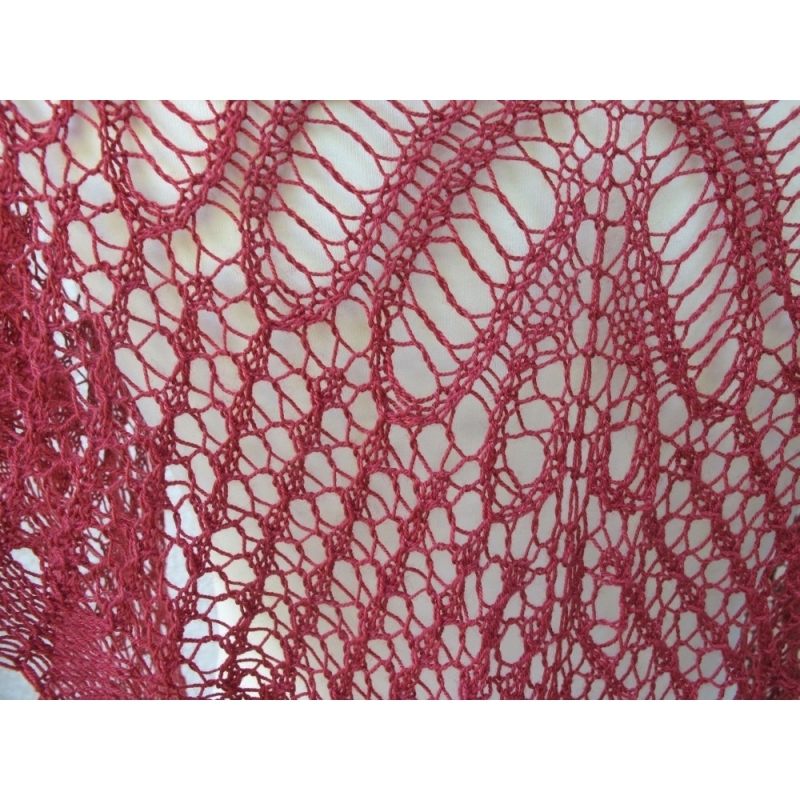 A circular needle will make the work more comfortable at the end, due to the large number of stitches. 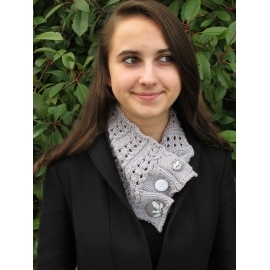 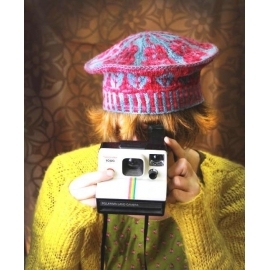 This product contains only the pattern for the design, available as a downloadable pdf-file.